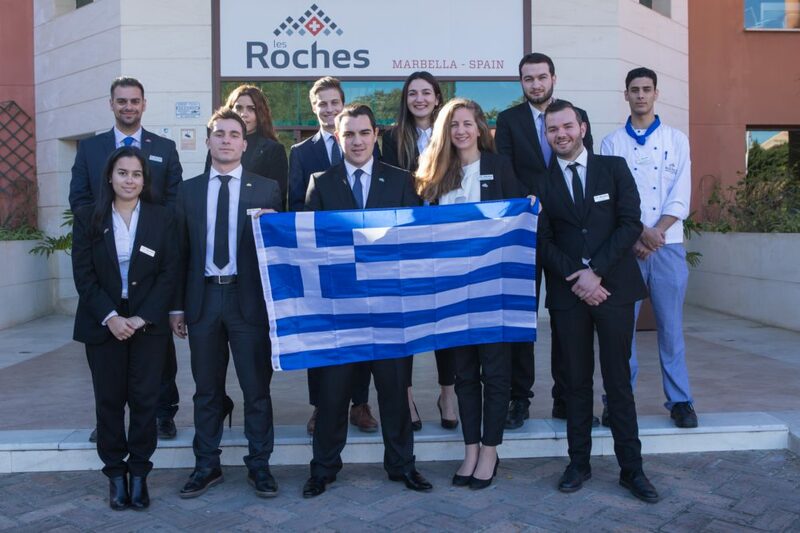 I came to Les Roches Marbella this year to study the Postgraduate in International Hotel Management because I see the future of my home country’s (Greece) economy will rely heavily on a thriving tourism industry. Myself and the Greek community at Les Roches Marbella are working to build a strong tourism industry in Greece through an effort to promote hospitality education with the country’s youth. Our desire to succeed and and become leaders in the hospitality sector, we hope, will encourage young people in our country to follow our lead. Together we can develop a strong talent base of qualified hospitality and tourism professionals. The economic crisis has affected all of Greece, however, we are certain that by arming ourselves with the top hospitality education in the world, we will be able to persevere and continue to showcase true Greek hospitality and prosper. The new generation is striving to keep the tourism industry flourishing in Greece and we are determined to not allow the economic crisis to dampen our spirits. In total there are are eleven Greek citizens studying this semester at Les Roches Marbella this semester that include both the BBA and Postgraduate Diploma in International Hotel Management. Each of us is dedicated to setting an example for our peers to aspire to. Through our hard work, professional business skills, a sound knowledge base, and a desire to innovate, we will help to make Greece not only a leader in global tourism, but also a thriving and prosperous country.